Oh come on, you had to know this was going to happen.... FFG launching a vlog of some sort. It was inevitable. Only, I guess I was waiting for just the right time to kick it into action. I've been taking video for as long as I can remember, to share with friends and family mostly. But, I had never really thought about using Youtube as a platform to share more great adventures. Then, a brand I was working with asked me to create a video specially for them at their hotel, and then another after that, and I thought, "actually, this might just give me the creative kick in the arse I've been looking for when it comes to FFG." So there we were and here we are. 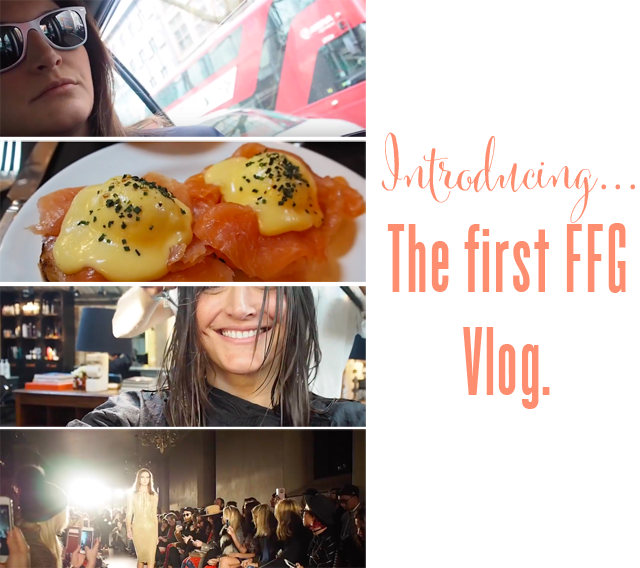 And since six years ago last week I was attending my first ever fashion week as editor of Fashion Foie Gras, I thought this was a good a time as ever to chronicle events. I also decided to chop off nearly six inches of hair. So all in all, seemed like a week ripe for the chronicling. But hey, I don't have to write about it... it's all here on video...( and if you like what you see, make sure and subscribe to my youtube channel as they'll be swinging up weekly)!